Can't believe it's been this long since Fulp-Allen Wrestling had an update! This post was defiantly in need and well worth it. I am at the 2014 Youth Olympic Games in Nanjing, China! 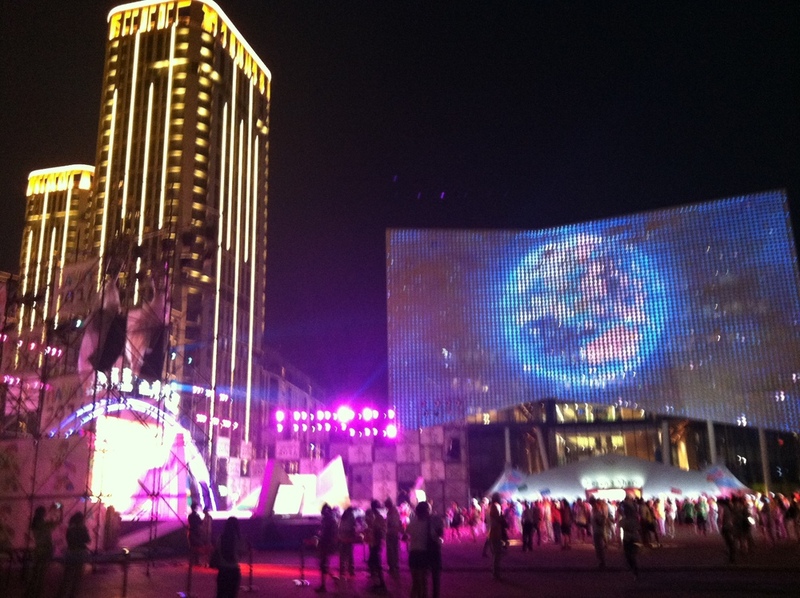 All four of us arrived in Nanjing, China at the Youth Olympic Village late on Friday night. Although tired after 12 hours on a plane and 5 hours on the bus, arriving at night in the Youth Olympic Village was a site for sore eyes. The entire village is lit up at night, including a full building banner, dancing lights on the dormitory towers, and the village buildings brightly lit in the YOG color scheme. Our first Saturday was busy, fighting crowds and learning the routine. The boys did a running workout on the village track followed by drilling on Taekwondo mats. Just enough to push out the jet lag and help with time zone adjustment. We don't have access to wrestling mat in the village, and with the opening ceremonies just a head of us, we made do with what we had available. The opening ceremonies were amazing. The Chinese did a fabulous job with the show. From the acrobatics to the lights, fireworks, and torch lighting presentation, every aspect was exciting to watch. 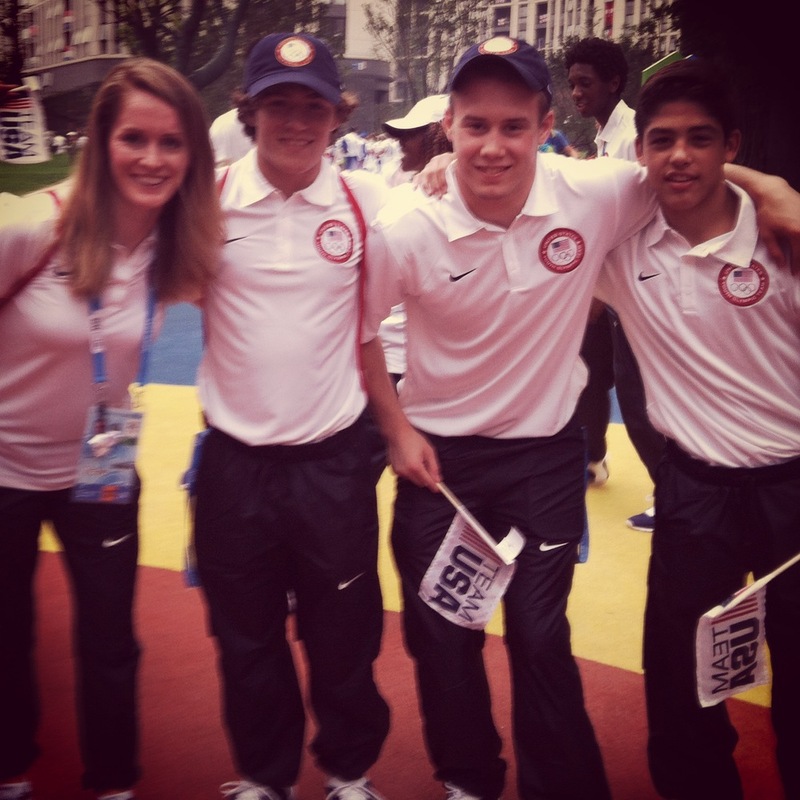 Enjoy the photos and I will update continue to post updates from the Youth Olympic Games wrestling team!